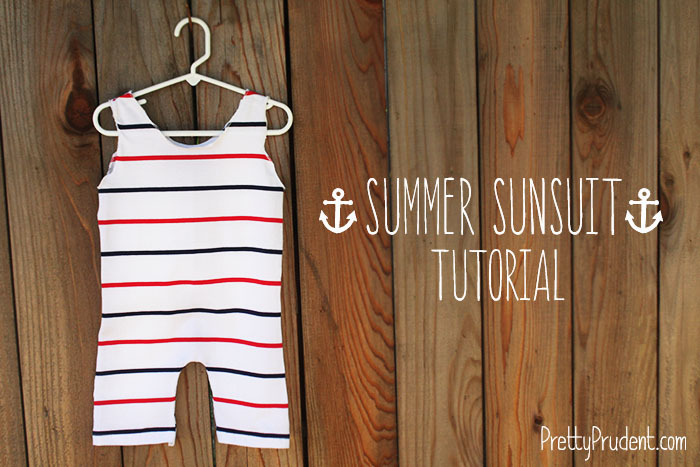 Grab an old T-shirt you’re not quite ready to part with and turn it into an adorable summer sunsuit for a little boy or girl. 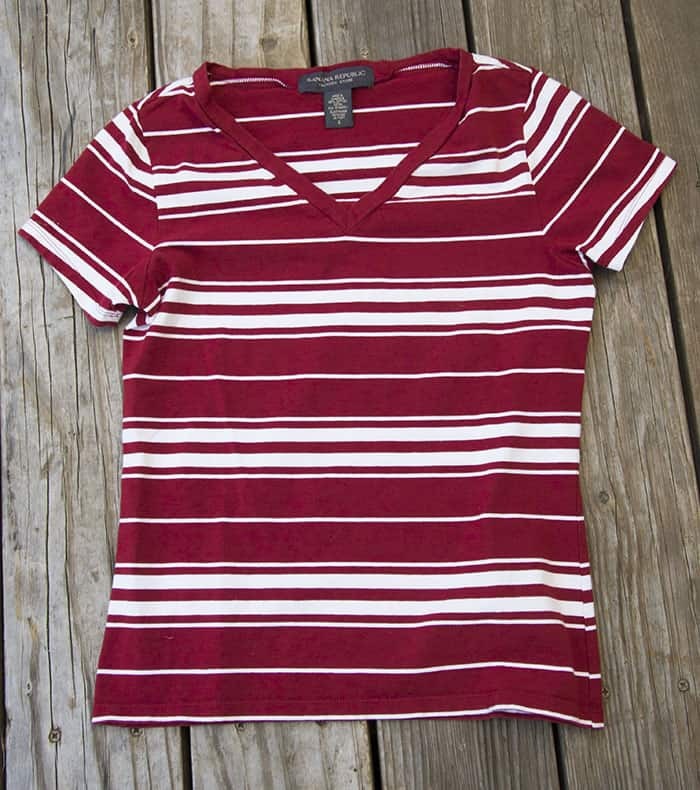 This tutorial is incredibly simple (like under an hour simple) and the only materials you need are a T-shirt, thread, scissors, and a sewing machine. 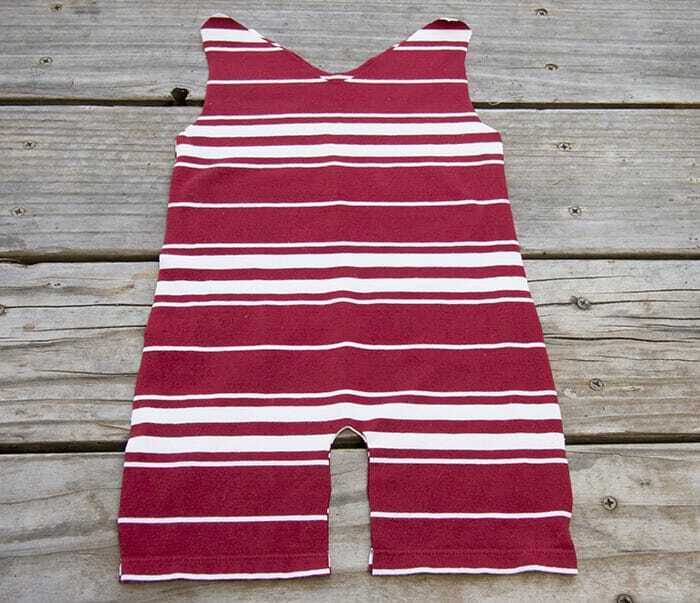 I wanted to give my sunsuit a 1920s feel so I made it using a striped T-shirt, but you could really use any kind you want. 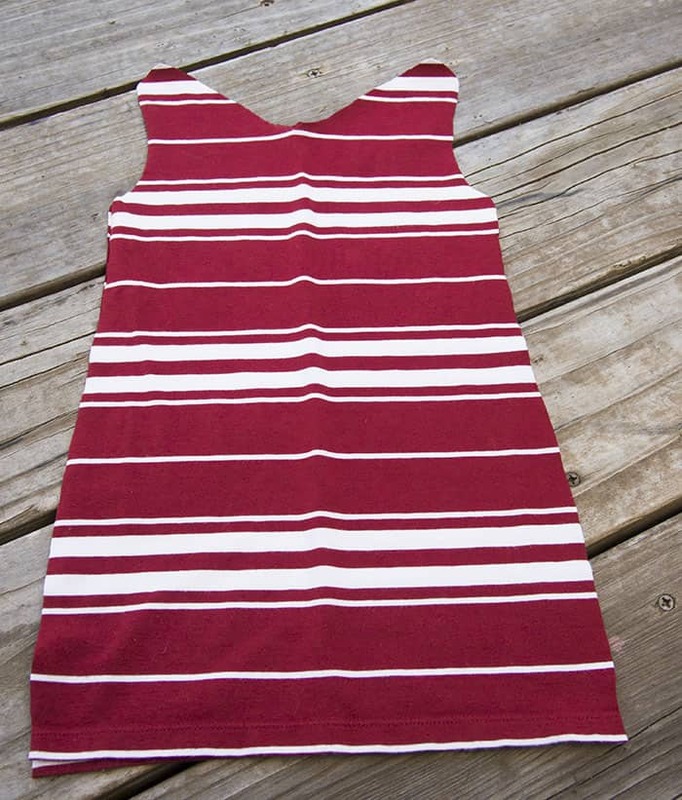 While you’re digging up old T’s, consider using the extras to make Striped Jersey Shorts and a Sundress. I had so much fun whipping this up that I made two of them. The first one is below. Start by picking out your T-shirt. Fold the T-shirt in half. 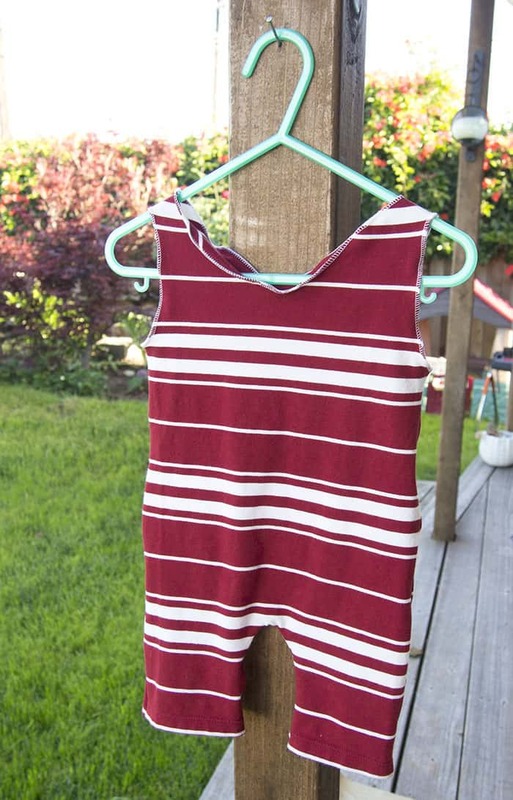 Lay out a tank top and pair of shorts over the fold. 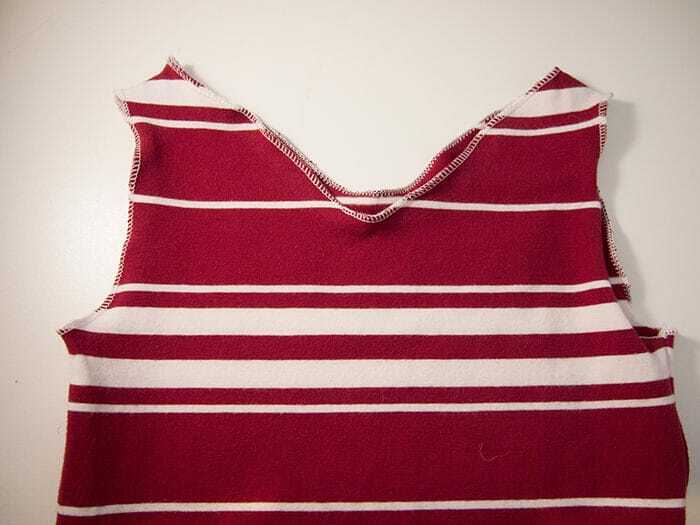 Cut out the outline of the tank top. Cut out a small section along the fold to create the shorts. 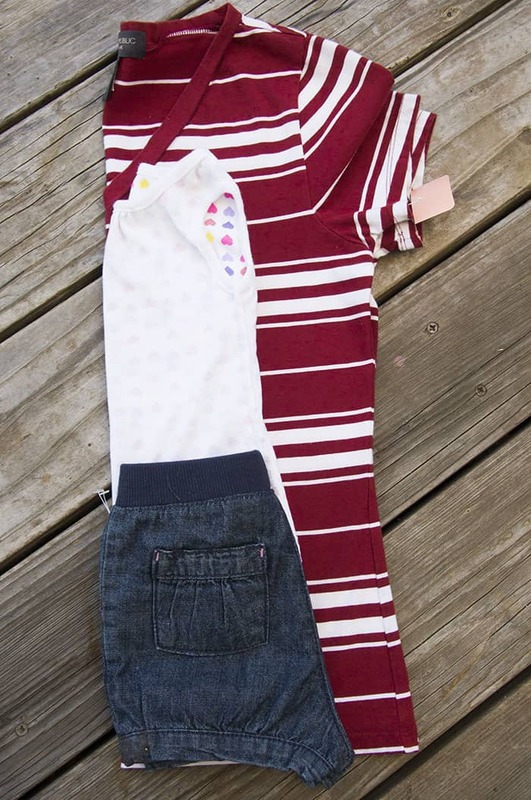 Pin around the top and sides of the outfit. 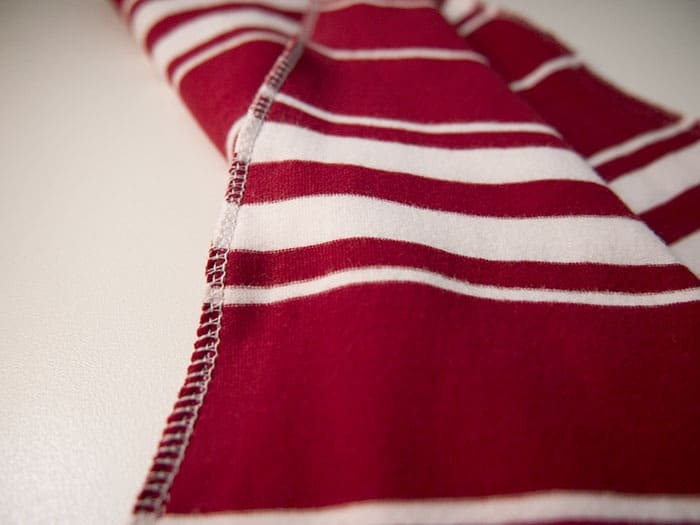 Serge or zig-zag stitch the sides, legs, and shoulder seams together. 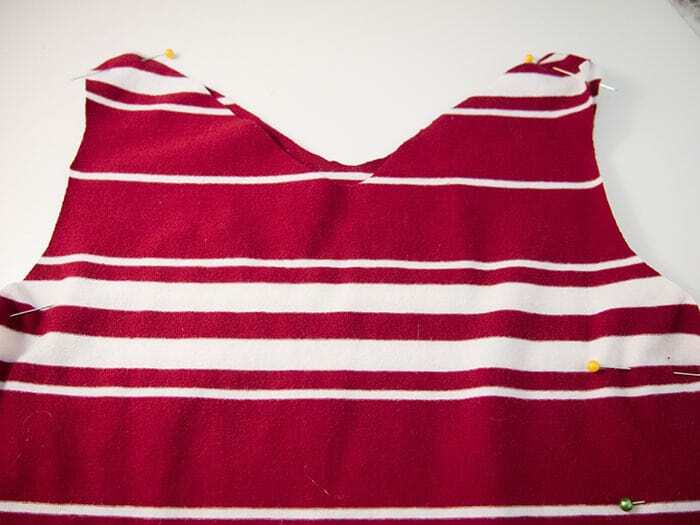 Flip right-side-out and stitch along the arm holes and neckline. 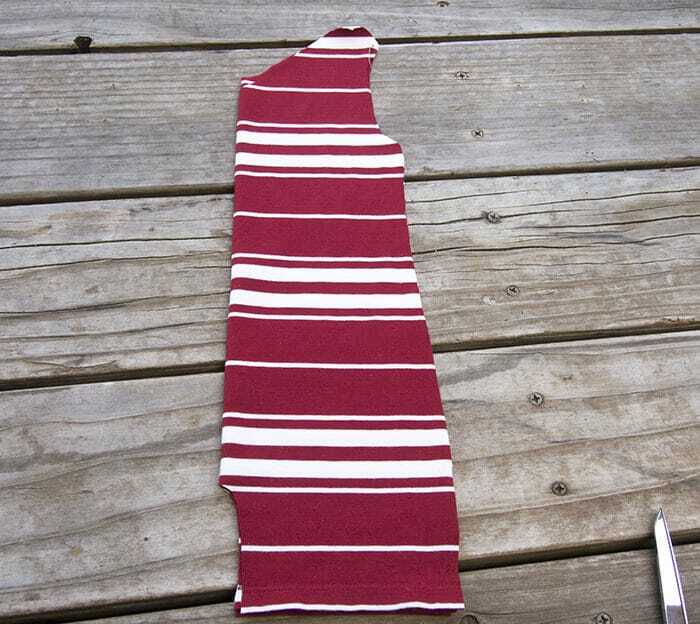 I made a bunch of these for my oldest son, I would leave the whole seam at the bottom though, and add velcro or snaps in the middle to make an easy open crotch. I think these are adorable! Fantastic idea. How do you put it on the child using this pattern? Through the neck hole? I’m thinking about making some of these. But I’m only at a basic sewing level.